Comfortable cotton tote with water repellant canvas lining and one pocket inside for all your goodies. 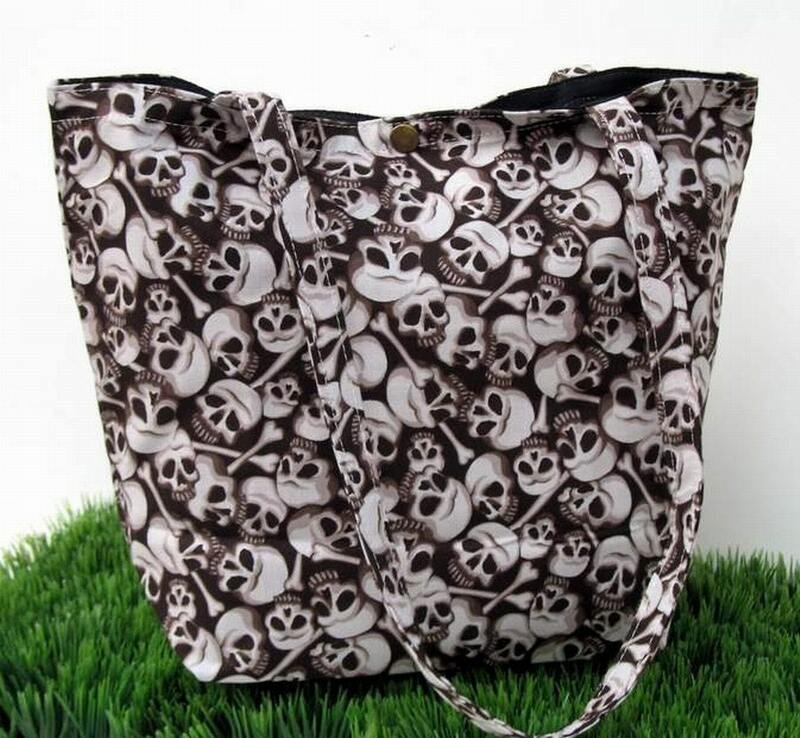 The tote features bold graphic pattern of white skulls and bones against a brown background. This is a hit with those who have an edgy flair and style. This is a HOT tote from our Love Shine line of bags and measures 11"x 14" in size.